The JetScream Floating Whistle is a powerful signaling device that can be easily heard above most natural and man-made noises. 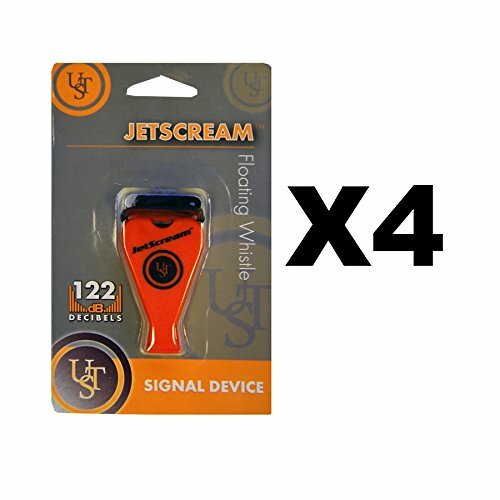 Its ear-piercing, 122dB shriek makes it one of the loudest of its kind, and it is just as effective when wet.The JetScream Floating Whistle is one of the loudest of its kind at 122dB and can be heard above most natural and man-made noises. If you have any questions about this product by Ultimate Survival Technologies, contact us by completing and submitting the form below. If you are looking for a specif part number, please include it with your message.